Thank you to all of the students who entered our September 2017 Chiropractic Scholarship contest! Perfect Patients created the scholarship program to help students limit their debt as they pursue their dreams of working in the chiropractic profession. 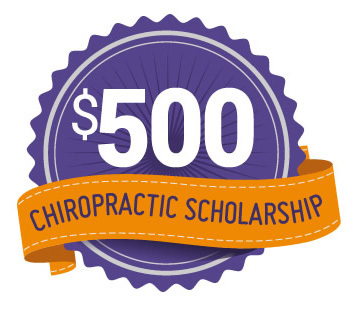 We are delighted to announce that we have chosen the recipient of the September 2017 $500 Perfect Patients Chiropractic Scholarship. Read the winning essay by Rebekah Wilks below! And learn more about the bi-annual scholarship here. Essay Question: What are the most important distinctions between chiropractic care and medical treatment and what challenges or opportunities do they create for chiropractors communicating with new patients? Medical treatment and chiropractic treatment have been satirically compared to other vocations. Medical treatment has been compared to the automobile mechanic and chiropractic treatment has been compared to the vegetable gardener. Modern allopathic medicine is trained to fix the component of the body that is ‘broken’, like a mechanic who fixes parts on an automobile. Chiropractic medicine is trained in cultivating a lasting and growing existence within the entirety of the individual. Medicine typically reaches for a pharmaceutical to treat the component(s) that has/have gone awry, and chiropractic reaches for a structural/functional explanation to treat the individual as a whole in attempt to find the root cause of the problem. While there are certainly demands and needs for both disciplines, each have their own challenges and opportunities in communicating with the new patient. Because chiropractic medicine doesn’t reach for the pharmaceutical, the healing process may seem slower to the patient, and with absence of immediate results, treatment may be dismissed as bogus. In addition, certain lifestyle changes may be required that patients do not have the discipline to incorporate into their lives, further making the course of treatment illegitimate to the individual. The patient may look for a new and exciting way to treat their ailment immediately, and with this idea, chiropractic treatments may seem too rudimentary, repetitive or simplistic. The chiropractor has to communicate in a way that illustrates to everyone why the treatment works the way it does and harp on keeping up with the treatment course in a way that is clear and seems less redundant to the patient. 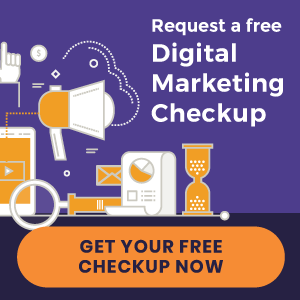 A customized treatment program that is accessible through the website (maybe eventually through an app) might provide insight on how many patients are actually following-up with treatment protocol. Chiropractic medicine has a particularly challenging endeavor as the general public has not been adequately educated on the scope of chiropractic medicine as compared to traditional medical treatment. In addition, because chiropractors are less known and have been legislatively edged out of the medical industry in many states, some chiropractors have chosen the path of instant gratification and participated in unethical treatment options, such as recommending more patient visits for the purpose of extra income. This has given chiropractic medicine a reputation that offers little legitimacy within the populous. The lack of pharmaceutical and government funding also holds the profession back legislatively, so chiropractors may not be able to practice how they have been trained because of state legalities. These legalities become confused when a patient in one state recommends using a chiropractor to a patient in another state, only to find that the chiropractor is barely able to diagnose in one of the two states. Scientific proof, personal accounts and statistics should be communicated within the office easily. Infographics, such as those offered by the American Chiropractic Association are a nice way to illustrate quantification. For instance, it is estimated that allopathic physicians will recommend back surgery 42.7% if the time, while chiropractic physicians will recommend surgery 1.5% of the time upon the initial point of contact – illustrating the chiropractic commitment to being least-invasive. Also, it is projected that within Medicare alone, chiropractors may alleviate back and neck pain complaints from primary care physicians and save an estimated 83.5 million dollars, which illustrates the cost-saving alternative of chiropractic medicine and these savings could easily be incorporated into strengthening the national economy as the money would be spent elsewhere. Another infographic communicates that about 500 people in 1 million will die as a result of cervical surgery, andUse of graphics such as the ones I mentioned above within the clinic’s website would provide another avenue of education, and with the Perfect Patient program, the ability to monitor who views what resources would provide a great opportunity to learn how to gear communication within the clinic to be most effective for it’s particular population when the new and existing patients physically arrive. « Introducing New Chiropractic Websites for Gilead Healing Center and more!